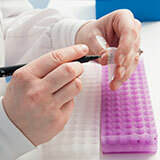 Do you want to analyze the process-related residual proteins in your drug substance? We quantify specific proteins that are utilized in the manufacturing process to produce the protein of interest. Down-stream purification aims to reduce these process additives in the drug substance, but standard analyses are not able to detect these trace amounts. For instance, the protein process residuals include growth factors, Benzonase nuclease, Protein A, enzymes for site-specific PEGylation, aminopeptidase, etc. 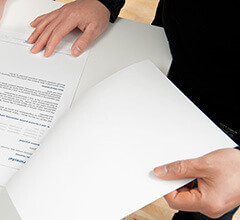 FDA/EMA documentation of process-related residuals in final drug substance. Evaluation of clearance throughout purification steps. Process validation and establishment of batch acceptance criteria. 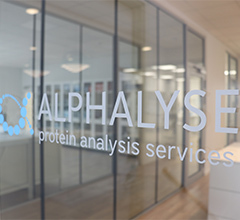 Alphalyse offers analysis development for your residual of interest, and analysis of both final drug substance and process samples. Above all, we perform low-to-sub ppm detection along with identification and quantification of key residual proteins. LC-MS analysis in a robust microflow HPLC coupled online to the Sciex TrippleTOF 6600 mass spectrometer. 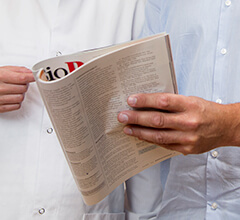 Send us a description of your project and we will be glad to discuss it with you. HCP analysis using SWATH technology requires sample material in sufficient amounts to obtain good data. 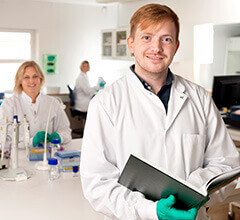 It is important that samples are prepared in a clean laboratory to avoid contamination with human keratin.